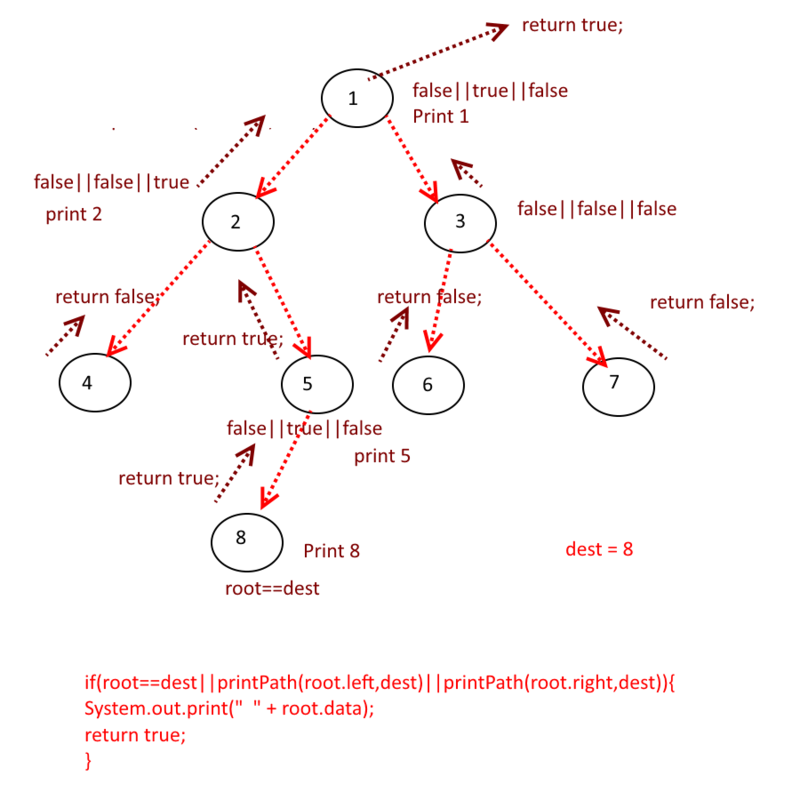 Objective: Given a Binary tree (Not binary Search Tree ), Print a path from root to a given node. 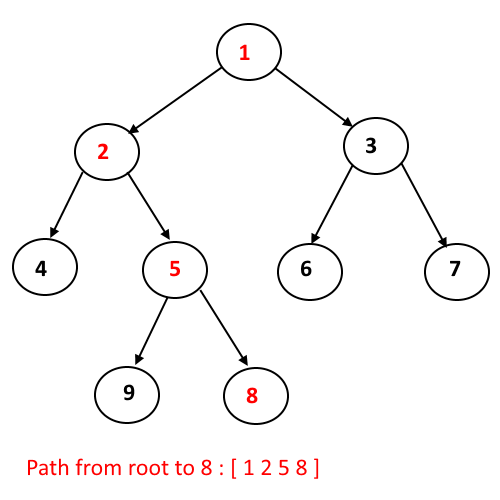 Start from the root and compare it with x, if matched then we have found the node. Else go left and right. Recursively do step 2 and 3 till you find the node x. Now when you have found the node, stop the recursion. Now while going back to the root while back tracking, store the node values in the ArrayList. Reverse the ArrayList and print it. 243 queries in 0.211 seconds.